Welcome to Flashback Friday! 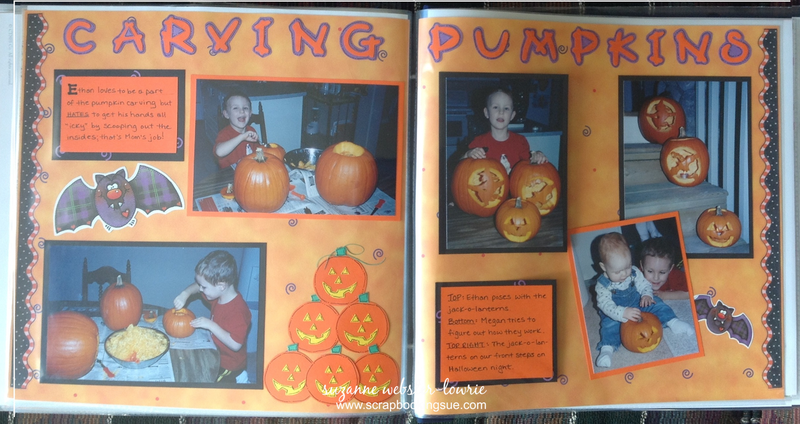 Today we go back to Halloween 2002, when Ethan was only 4 years old and Megan was 1 year old! They LOVED to get involved with the pumpkins, but absolutely HATED to touch the slimy insides. 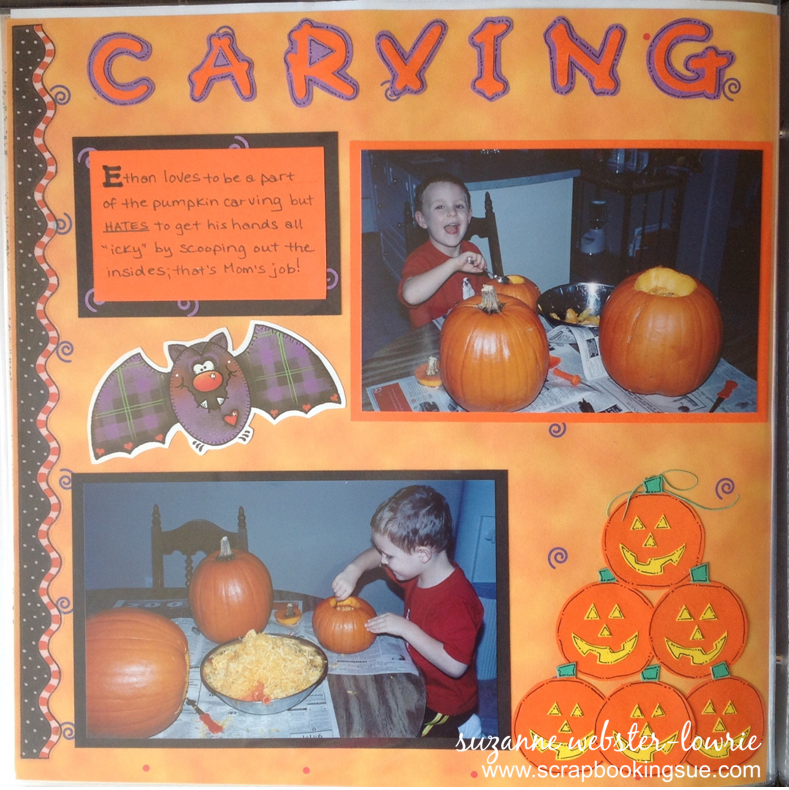 If I remember correctly, the pictures with Ethan scooping out the pumpkin “guts” were staged! I needed cute kid pictures and he was grossed out! Come on moms out there, you can relate? Right? All of the components to these pages were pre-CTMH. I joined CTMH one year later, in 2003. I believe that the background paper and bats were from a Provo Craft scrapbooking pack that I purchased. 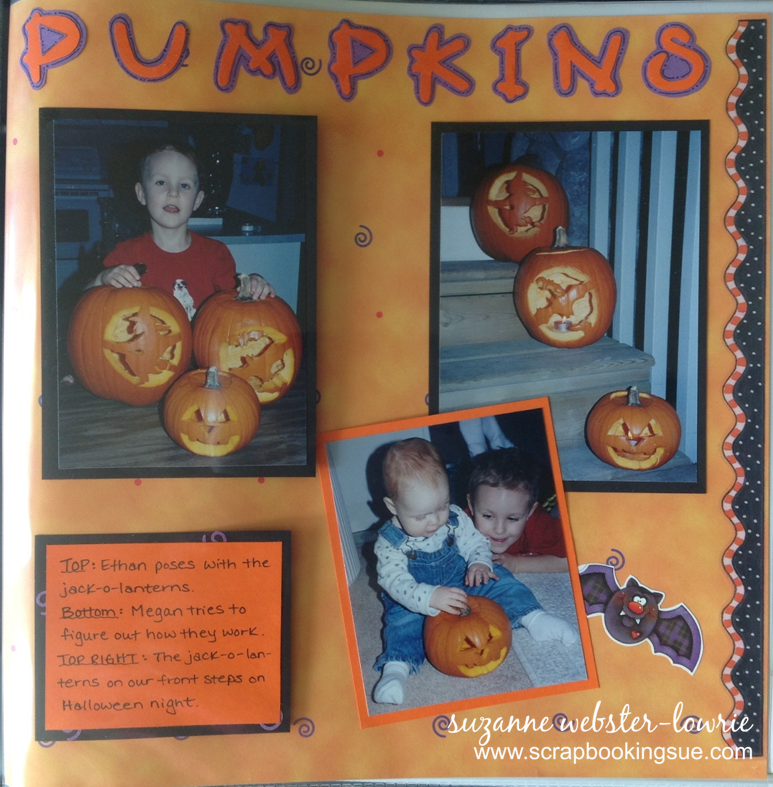 The borders were from Me and My Big Ideas, and all of the pumpkins were paper pieced from a Halloween template. The title letters were also from a template and were each painfully traced, cut, and paper-pieced together… life before a Cricut machine or set of alpha stamps! Just look at those sweet little kids. Want to see what they look like today? Click here and scroll to our family picture. So, have you ever staged a picture with your kids doing something that they really didn’t do? I’d love to hear about it! Please tell us in the comments below.